Everything about Capestone is designed to get the most out of lakeside living. A large beautiful central lake will sit in the heart of the community and provide an easily accessible gathering point for families and friends, plus a relaxing place for aquatic leisure activity and the backdrop to a vibrant retail hub. Capestone is only a short drive to the Bruce Highway with the Sunshine Coast less than an hour away, and only minutes to Moreton Bay and the beaches of Scarborough and Redcliffe Peninsular. In fact it’s hard to believe you’re only 40 minutes from the Brisbane CBD and with a rail link coming soon, the commute will only get easier. It’s all designed to create a truly relaxing environment, which is lakeside living the way it should be. CAPESTONE is located in the North Brisbane region of sunny Queensland. 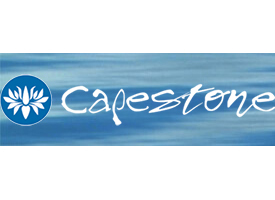 Ready to discuss your home building options in CAPESTONE? Book a no obligation free appointment with our experienced home building consultants to discuss your requirements. House And Land Packages now selling in CAPESTONE. Integrale Homes offer complete peace of mind with our now famous “Total Package” which includes an Upfront – Fixed Price Guarantee, A Maximum Build Time Guarantee and a free Facade upgrade. We want to give you a home building experience like no other. I Would Like More Info Please!